When choosing to go under the knife to have the breasts you want, you’d think it would end at that – one decision. However, there are many choices to make regarding the type of filler solution, the shape, and the texture of your augmentation implants. The hard part is knowing what to choose based on your preferences and what you want the final result to be. While your cosmetic surgeon may be able to give you insight into what would work best for you, it is ultimately your decision that will dictate the outcome of your surgery. What choices are there? 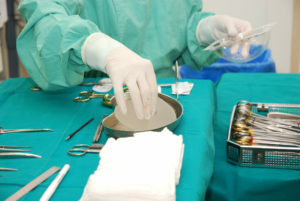 There’s been some controversy surrounding the use of silicone implants due to the health risks involved in the event that one should start leaking or even burst open. However, there are benefits of silicone implants depending on the look you want. Your breasts can look and feel more natural with silicone gel due to the firmness they provide. These types of implants are approved in those aged 22 and up. A huge benefit of saline implants is that if one should leak or collapse, the sterile salt water (saline) will be absorbed by the body with very few risks involved. Saline implants will give a firm, perky look and feel. They are also easier to work with, creating a uniform shape much more easily. Unlike silicone gel implants that have an approved age of 22, anyone over the age of 18 is able to obtain saline ones. Gummy bear types of breast implants keep their form much more easily are usually the most common. Even if the shell of the implant were to leak or burst, the silicone gel will keep fairly close to its original shape. However, the incision when placing gummy bear implants is usually larger which can be a problem for those who are worried about the appearance of scars after surgery. The tailored shape of this type of breast implant can be a down-side if the implant were to move or rotate. This can give a strange appearance until it is fixed. While technically you can choose any size you’d like your implants to be, it is recommended that you don’t increase your breast size by more than two cup sizes as it can lead to the formation of unwanted scar tissue. It can also cause the skin to stretch too far, leading to other side effects such as several months of discomfort while your skin adjusts. There are a few things you need to consider before choosing an implant size: the amount of existing breast tissue, whether the implant will be placed over or under the chest muscle, your body shape and size, etc. Most cosmetic surgeons who specialize in breast enhancement surgery will be able to tell you how these factors will impact the final result. There are typically two shapes you can choose from when determining your new breast-enhanced look: round or teardrop. While round implants have less of an issue when it comes to them rotating within the breast, causing a strange appearance, they can make your breasts look very full and perky. Round implants are not affected by shifting out of position or rotating due to their spherical shape. If you have them placed higher, the natural look of larger breasts can be achieved. Teardrop shaped implants can give a more natural appearance as they are tapered at the top and fuller at the bottom, much like completely natural breasts. This shape of implant will most likely have a textured shell to keep it from rotating within the breast. Even though the natural shape is ideal, you can actually get a more enhanced breast size with a teardrop shape rather than round. However, most teardrop breast implants will cost more than the round ones. Most round breast implants, whether silicone or saline, will have a smooth-textured shell. This is because a smooth breast implant can move freely within the breast. A round implant can twist and turn, and it won’t cause any discomfort or odd shapes because the implant is the same shape all the way around. The smooth texture allows for natural movement of the implant within the breast, which can lead to a more natural feel. For teardrop shaped breast implants, it is more important that they stay in their proper place and they don’t rotate. If a teardrop shaped implant were to rotate within the breast, not only can it be uncomfortable but it can change the shape of the breast as well. This can definitely be a burden, especially since you will most likely have to go back to your cosmetic surgeon to get it fixed. The textured shell of these types of implants help to cause scar tissue to form around it, which therefore keeps them in place properly. While implants that are smooth may act differently than textured ones, there usually isn’t any change in the look and feel of them. Those factors are changed by the size you choose and the shape that is most appropriate for you. All the choices you have to make just to get the look and feel of the breasts you’ve been imagining yourself with for ages can be a little overwhelming. Not only that, but it can be overwhelming just facing the prospect of a major surgery plus the recovery time. There has to be a better option, and there is. There are many herbs that can help to grow breast tissue naturally, especially when combined. Some of these herbs are: cumin extract, blessed thistle, and fennel. But there are many others. Using these herbs to get the results you want is also much easier than facing breast enhancement surgery. You can choose to use creams, soaps, pills, and more, depending on what is easiest for you and how quickly you want to see results. NatureDay specializes in helping both men and women achieve their desired outcome. Many happy users of NatureDay’s proprietary formulas have seen great results, Over 2,600 testimonials, pictures, and voice testimonials here.